As a budding entrepreneur and owner of any sort of business online, the best way to challenge the existing mega e-businesses such as Flipkart, Amazon, and the Wal-Mart’s is to have a user-friendly website providing the best user experience to all your visitors. Along with this, if you are venturing into the e-commerce space, another thing which is very important is having a good engagement plan for the users providing them info-rich and relevant content alongside automation, making their overall experience delightful. The above facts make the importance of the integration of inbound framework much more important. One has to make sure regularly that their brand message passes across to the users just like they wish it to be. It is also important to make sure the brand image stays in the mind of the customers, so whenever they intend to buy a certain product, they think of your website. The smooth payment process is something which each and every customer wishes to have. And when you think about collecting payment from your website, PayPal is undoubtedly the best option. 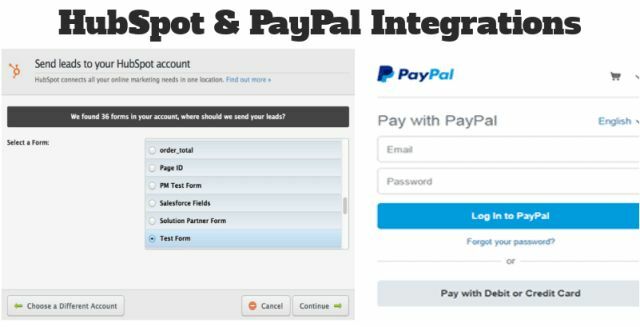 HubSpot Shopping Cart and HubSpot PayPal integrations are two of the most important things which one should definitely implement on their websites. HubSpot stripe, HubSpot Payments, and HubSpot Credit Card Payments are some of the most useful and powerful inbound marketing strategies that can help your website reach new heights by promoting the business with the help of information gathered. Payment through PayPal is the best and the simplest option to provide to the customers but, when there is a requirement to collect valuable information to send to the HubSpot form before payment, it gets difficult. There is numerous software which helps in sending the abandoned cart auto response, but the HubSpot Shopping Cart integration takes it a bit further by allowing the drafting of a series of emails that can be personalized using the available data. It also helps by developing a sequence of emails based on the previous data which can entice the user to make a purchase. DepositFix, which is the official partner of HubSpot, provides solutions to e-commerce websites to help them grow by connecting marketing and payment to HubSpot. It helps in taking the full charge of the customer’s journey on your website and thus helps in making HubSpot a source of revenue for you. You can check the website of DepositFix, where you can find the code which can help in redirecting the customers to PayPal after filling the form. Just after the form gets submitted, the user automatically is redirected to the PayPal page with the selected product and pre-decided amount. You can get the complete code from their website, and in case you are looking for a complete payment solution for HubSpot, make sure that you contact them for the best service. So if you are looking forward to taking your website, and the related marketing activities to another level, integrating HubSpot solutions are a must. Visit DepositFix today to provide your customers with an extremely delightful journey.